I made a promise I would review every book I read, and I will but, you know me – rule breaker! So I thought I would do this one a little differently. 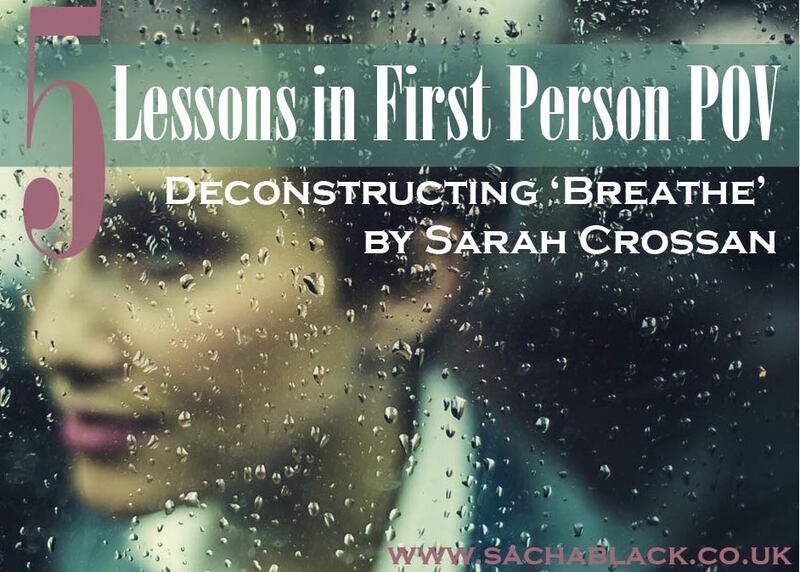 I am going to dissect and share what writing lessons I learnt from this book: Breathe , by Sarah Crossan. And I hope whilst I am doing this, it forms a kind of review. This book is written in a unique way using the first person POV, so the focus of this lesson review will be on perfecting the first person POV. How do I learn when reading? I collect words and sentences, especially unusual ones and I do it prolifically when I read in order to refer back later and dissect. I’ve had to retrain my brain to be able to read consciously. Normally my eyes switch off and I see pictures instead of reading words, so in order to pay proper attention to the words I refocus. Anyway, enough rambling. What did I actually learn? I always hear the phrase ‘writers need to learn the rules so they can break them.‘ One of the cardinal rules I’ve learnt is that if you are writing in the first person you do it from one characters POV. *I said earlier Breathe was written in the first person. It is. But, from three main characters POVs. Did it work? Not right away. The book rotates around each character, each chapter from one of the three main characters: Alina, Bea and Quinn. The thing about first person that I love is that its so personal and deep to that one main character. The book opens with the character Alina. I assumed – she was the main character. But the book ends with a chapter from Bea. I started out thinking Alina was the main character especially as there was love triangle. Quinn and Bea are old friends, Bea loves Quinn – he’s never noticed her despite being BFFs. Quinn falls for Alina. And then, part way through the book realises his mistake and how he has always loved Bea. I’ll be honest. I never realised but, wherever the love interest is (not the male, *climbs on feminist soap box, whips out bra and searches for lighter* but the relationship itself) is where the main characters are. By the end of the book for me Bea was the main character. I was left a little confused. For me, the book would have worked better if it was from just two main characters – Bea and Quinn, as the relationship could have had more depth from longer page time and we could easily have watched Alina through their eyes – that or perhaps it could have been written in the third person and worked just as well. That being said, I did believe Bea’s heartache and I just about believed Quinn when he converted to Bea. I would say it took a third of the book before I could easily switch between the characters, and for the first two sets of rotations I got very confused between Alina and Bea. Possibly because they were both female and therefore, it wasn’t until I was a third of the way through, that I really knew enough about each character to spot the differences between them quickly. Once I did however I thoroughly enjoyed the variety. Every now and again I spotted something simple and ordinary – like a toothbrush. what happened to its owner? Whereas Bea who is driven primarily by love, thinks and speaks in a much more tangible way. Crossan uses tactile descriptions playing on the senses to build on Bea’s personality, goals and lust for Quinn. He doesn’t feel that way about me,’ I say. I have never admitted this out loud, so when I hear the words spoken in my own voice, clear and undisputed, I could cry. I look at my mum steadily. …in my chest has swollen up so that my whole body feels like it’s filled with poison. I don’t love him in the way my parents love each other – sweetly, almost wearily. When I’m with him I feel each nerve within me awakening so that when he touched me, when he brushes my arm accidentally, I shiver and I have to bite back an urge to cry out. I feel the ache everywhere: in my neck, in my belly, between my legs. What I love is that I had no idea I’d picked up on so much until the end when I looked back at the random phrases I’d highlighted and found pure Crossan gold. The last key lesson I learnt was around describing other characters. When writing in first person, everything (including other characters) is seen through the eyes of your main character so you need to describe them fully as well as identifying their goals without making it seem arbitrary. I think Quinn is the best character at doing this because he goes through some difficulties not having spotted who his father really was. Ironic, and more impactful because he spends a lot of his time looking at and kind of analysing other people, yet, didn’t spot what was under his nose – both for Bea and his father. She gulps down some water and squints at me as though she isn’t quite sure what she’s seeing. She flicks her thick hair from her shoulders and pulls at the hem of her incredibly short dress. I’ve never met a person more in love with herself. He is speaking into the mirror, talking to my reflection as though he can’t bear to look at the real me any more. First person does work better from one characters POV, however, rules are meant to be broken and by the end of the book I really enjoyed the flick between the three characters and the tension that built having to wait to find out what happens to one of them. I would say that if you are going to write in first person from more than one POV its better to do one male and one female, or two VERY different characters if they are the same gender and age it can make it hard to differentiate between characters. Again, if you are swapping character whilst in first person POV, you need to be VERY clear who the main character is, otherwise your reader won’t know who to invest in. Differentiating multiple first person characters is hard. But it’s easily done by focusing on manipulating their speech and thoughts to focus on their goals. If a character is driven by love then their thoughts and speech will be more tangible and oriented to the sensations they feel because of love. If you’re not conscientious, describing other characters in the first person can steer you down a path of describing clothes and appearance. But by a character observing action, emotion and pondering another’s thoughts, you achieve a depth you can’t get with clothes and appearance. What lessons have you learnt about the first person? Have you ever read a first person novel and found habits you don’t like? What tricks do you use when writing in the first person? If you’re a fan of YA books, especially with a twist or hint of dystopian fantasy I think you will love this read. I did. Thanks so much Riley I am glad you liked it – and that you took the time to read and comment. Much appreciated 🙂 Hope you enjoy the book if you read it. Neat to combine the two elements, review and learning . I’m a great believe in rules are for the breaking, it would be dull otherwise. Thanks Geoffle – I won’t do it for all of them, but I think it’s something I will do more often. First person POV… can be brilliant or a disaster, and is very tricky to get right. Can also be very boring for a whole novel all the way through if not done right. Your author here seems to have got round this by using 3 different characters, but this might be hard for a lot of readers to get their heads around if they are not very flexible. And also not advisable if you can’t 100% show the differences between your characters. Love how you used a book to illustrate all this, Sacha! Reading is definitely the best way of learning, I think. You are also very good at analysing, and distilling it down to the facts. Great post! Oh and love that books cover! I so agree about it being brilliant or a disaster. Not sure I have ever read a first person POV that was boring because it was first person though. I know I think doing three characters was a risk – two is more easily manageable – but then we can’t all do the same things. Interesting post and POV. I’m into neither YA nor dystopian futures so I don’t think this book would appeal to me but I enjoyed your thoughts about the writer’s use of multiple perspectives. I have just read a couple of books that also have multiple POVs. One had two first person characters and I could detect very little difference in their voice. Each section seemed to flow just the same as the other. I wasn’t sure why the author had chosen first person and felt it would have been better told in the third person. The second one mixed first and third person and I also found this off-putting, as if the author had made a mistake and forgotten which POV had been chosen. Again I’m not sure of the author’s intent in doing so, but felt the third person would have been just as effective and less confusing. On the other hand I have read at least one book that relates the same situation from the point of view of a number of characters; a bit like witnesses in a witness stand I guess. That was interesting. After all, none of us ever experience the “same” situation in exactly the same way. I’m like you, Nora. Not really a fan of YA or dystopia, but enjoyed the post anyway. The other book that does this from many points of view is “My Sister’s Keeper” by Jodi Picoult. It worked very well, I would say and was easily translated into a movie. Of course, they changed the needing in the movie, to something that naturally made more sense. I won’t mention it here as some of you may want to read the book or watch the movie. At first, I had written my novel in a similar way, but soon realized it didn’t work. I still let each person tell their secrets, but they tell them to my protagonist. That worked much better. Crap, that was supposed to be “ENDING,” not “needing”! Happens every time I don’t reread a comment before posting it! I haven’t read “My Sister’s Keeper” or seen the movie, though I think I have heard of it. Your technique of having the characters tell their stories to the protagonist sounds like an effective strategy. The trailer for your video is great. How lucky you are to have a talented husband writing beautiful music for you. I wish you every success with your novel. That’s understandable, not everyone can like every genre. What were the books you read? I think choosing your POV is vital to getting a good book written. Sounds like they didn’t get the book edited which is never a smart move really. I think there was a film which was originally a book called crash that told a story from like 7 peoples POVs never read it but would like too. Perhaps the books were edited. Sometimes what works is simply about what works for an individual reader too. We don’t all “get” what a particular author aims to do. I saw a headline for a post, which I haven’t as yet read, that said something like “don’t write for everyone, as everyone doesn’t exist”. You have to choose your target audience and write for them. There are probably others that read and thought these books amazing. An innovative way to review, Sacha, I like first person POV but it can be tricky. It sounds to me as though a number of people would have given up on this book, with the confusion that you dscribe between the voices. Unless the story was exceptionally gripping, I suspect that I would have done. I think that to write in first person and to use more than one POV, the writer has to make a supremely good job of it for it to work. I think for me – because it’s a genre I love, I did find it gripping despite the difficulty at the beginning. I completely agree Mick about the writer having to make a good job – not sure I’m that brave. This is a topic I feel very strongly about, because I have written two novels (and another is on the way!) with multiple/rotating first-person narrators. I’ve broken all the rules. Well, I’m a self-published author, so I make my own rules! I think the first person gets to the reader so directly, that if it’s well done, it’s magic. What’s well done? If the reader is convinced he ‘knows’ the character/s and wants to continue reading about him/her/them. That won’t happen all the time with all readers, but neither is it guaranteed with traditional 3rd person narrators! I love it when there are two, as you mention, M/F narrators. A famous recent example: Gone Girl. But these stories are (usually) very intense, so the other characters just ‘fill in’. Which is fine, but if you want an array of well developed characters, this won’t work. Coming to my book. It’s a historical, family saga, so there are many important characters. I agree with you that the main characters lie where the love interest is, but for me they’re all important. I love all my characters, even the villains and the seemingly minor ones. I see them, dream about them and try to get inside them. that’s why they write in the first person. My novels have complex plots, but it’s overall my characters who are in charge; they drive the plot on, and convince the reader to read on (or not). From my experience, as a writer there are two issues to overcome with multiple narrators. 1- Making sure that the reader knows, in the first few lines, who’s narrating. My beta readers and editor are really helpful on that point. (it’s much easier if there are only two). 2- Maintaining the character’s voice throughout his/her narration. It’s easy to slip back to writer. That’s why I say I ‘go into a trance’ when I write. I become absorbed by my character, like an actor. My feedback on this aspect of my writing is mixed, but overall positive. Very few readers/reviewers have pointed out multiple narrators as an inconvenience when reading. Finally, I couldn’t do it any other way. I enjoy reading third person narrators, of course, but I’m almost certain I’d never use that type of narrator myself. Sorry I’ve rambled, but it’s a fascinatng topic for me 🙂 Thanks for inspiring this ‘conversation’. .
Ok, wow, where do I even start to reply to this. I ADORE how passionate you are about the first person – I feel exactly the same. I am like you and don’t think I would be able to write a book in the 3rd. Although ironically some of my fave books are in the 3rd person. I am like you in the way I approach my characters – it’s trance like. My eyes switch off, my fingers become automatic and I just see the story play out as i tap words out – is that weird? I am fascinated by your stories I have them on my TBR pile – its massive though, but I am super excited to read them after this comment 😀 how is the next book going? I’ve recently interviewed an author who says one of her characters took her clothes off and jumped in a lake, totally unexpectedly for the writer! I love it when that happens, when characters do things and develop ‘on their own’! I’m struggling to find the time to finish book 3. I’m aiming for March-April. This book was on already on my radar, so I appreciate your review. I am curious, did the author identify the character whose POV it would be at the beginning of each chapter? I am a huge fan of Robert Jordan’s wheel of time series and while he didn’t specifically call out the name of the character at the beginning of each chapter, you knew who the chapter was going to revolve around by the use of graphic under each chapter heading. Without that, I might have been lost trying to keep more than two characters straight. I like this style of review, Sacha! POV has a powerful impact on a book, but as you pointed out, an author can use it subtly to differentiate between characters. Thank you Charli – a number of people have said they liked this review style. I will have to try and do it a bit more often. I completely agree, I think POV choice is integral to getting a book ‘right’ so to speak. That is amazing how you read a book. That reminds me of your review of Spectre. I like the way you look beneath the surface, Sacha! Thank you Erika, yes, actually it was the review of Spectre that gave me the idea to review ‘Breathe’ in this way too. Thank you so much for the lovely compliment. This is DEFINITELY made me realize how I can improve my writing in terms of character and narration. I’ve often preferred 1st person when writing, but now I see that I still have a lot of room to improve. Thank you for the post and advice!! Hi Saffron – Awesome name by the way. I’m so glad you liked the post. I hope the tips do help you when you revise your story. I love writing in 1st-person pov because, as you say, the pov is so deep. I think it’s a great exercise for new writers for that very reason. (A little trick: If I feel like a 3rd-person pov is too distant, I’ll write the scene in 1st-person and then switch it to 3rd. Works like a charm). Agreed Agreed Agreed – I don’t think I will ever write a novel in 3rd. I just wasn’t bred that way! Haha – which book was that? I suspect given how talented you are you absolutely smashed it! Very interesting post. I’ve read a number of books with multiple first person POVs. And also books, which switch back and forth between the third person and several POVs. It works, but keep you, as the reader, on your toes! NO WAY???? purposefully swapping between first and third? How did that go? what was the book? The author separates it by chapter but you do have to keep abreast of what’s going on and who’s viewpoint you’re in. There’s a really good book out at the mo which uses both povs – ‘I Let You Go’ by Clare Mackintosh. It’s in the bestsellers list. The author James Patterson also does this – and very well. Swapping POV is the new black – makes me go ‘hurrrrumphh!’, as I’ve been doing it for years and was told I ‘couldn’t’, and now every debut novel, indie and trad, is in at least three – and first person, too! ps, the other thing you absolutely MUST do is to head each chapter clearly, with the name, location (if necessary), and time in which it’s written (I put something like ‘Erin: March-August 2012). And start it off with something that is peculiar to that character. If the characters are not clearly written, all the reader has to do is to put the book down for a day, and they forget from whose head they’re reading. I am so exhausted, I don’t know if I commented on this post or just thought about it. O_o How’s that for ya? Eh? Anyway, love this post. This is a huge topic (and, as always with writers, a controversial one) so I’m glad and not surprised you tackled it. 😉 <3 You rule-breaking word weaver! 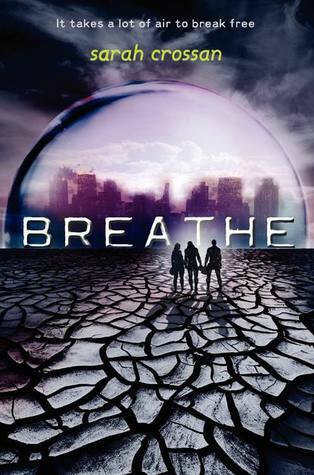 And I'm going to check out Breathe. Thanks. Thanks chick 😀 <3 and thanks for reading it when you should be writing…yes, yes I did say that. I found this post really useful. Made me think about my book written in first POV from 3 characters. Your point about which one is main character struck a chord with me. Hmmmmm needs more thought, so glad I read this. Glad you liked it – Nothing better than deconstructing something you have read – if you are writing from 3 POVs have you read any other books that do it that you liked? I am munching my way through a berzillion books in my genre – so that I can devour every ounce of their skills – I sound like a stalker don’t I?! lol. This post was very helpful! I’m fifteen years old, and I love writing. For the past three years, I’ve been working on my own adventure/fantasy/romance novel. I was inspired to start my own book when I noticed YA fiction is lacking morally-upright books that are still action-packed, intense, and captivating. Since my main character is incredibly round, complicated and dynamic, I’ve found that the story is easiest to follow from her first person POV. It’s a thrilling story! I want to share it with the world, but there’s still so much to work through in my head. After completing a short story and first draft, I am now working on my second draft, but I’m struggling to find her true voice. Do you have any advice for keeping the story’s POV intriguing and deep, but still consistent to my main character? Hey Sophie, glad you liked the post. I think most YA books are written in the first person POV, although not all of them. It’s a closer perspective, and by the very nature that you are only seeing the story through one persons eyes, its deeper. I am going to think about your question, when people ask me questions about advice, I usually mull them over, and then work up a post for a couple weeks time, so if you hang about or follow my blog, hopefully in a few weeks I will have a good answer for you. But off the top of my head I would say its all about emotion. Giving a story depth is about showing the range of emotions that character feels – usually conflicting too – and definitely conflicting in YA stories. If you know what your protagonists positive traits are – do you similarly know what her negative ones are? We all have them and its just as important that a protagonist has them – showing their bad side just as much as their good gives them depth, and also shows that no matter how consistent a person we are, all humans (characters) can be pushed to react to a bad situation and thats when they behave inconsistently. Its kind of ironic, but sometimes behaving out of character makes them MORE of a character and more consistent to your original design. Hope that helps, but as I say If you stick around I’ll draw something proper up in a few weeks for you. Hi Sherri, thank you for taking the time to read it. Ahhh yes, unfortunately I made the error of watching the film first, also, someone told me the twist, so it kind of took the fun out of it anyway but that is a great example. Agreed, the POV may well have put me off before I read Breathe, but actually I think I would be much more adventurous now I read that book. And actually, I might even attempt it one day… possibly….maybe if Im brave enough!!!! Well, I will keep my fingers crossed that the flare of inspiration strikes for me!! Thank you so much for this post! Very well written and it made me want to buy this book. I stumbled upon your blog because I am struggling to decide if I should use the first or third POV. I want to alternate between a male and a female characters. Your lesson No 3 made me think because I keep wondering how do I do to show clearly that the girl is the main character given that they will both have a similar “air time” if that makes sense. Do you have any examples or advice on dual POVs where the main one is clearly showing? Thanks in advance and keep writing!